It's been a while since I've covered the precious metals in an article. They've been range-bound for much of the past year, with few notable sector developments to report. 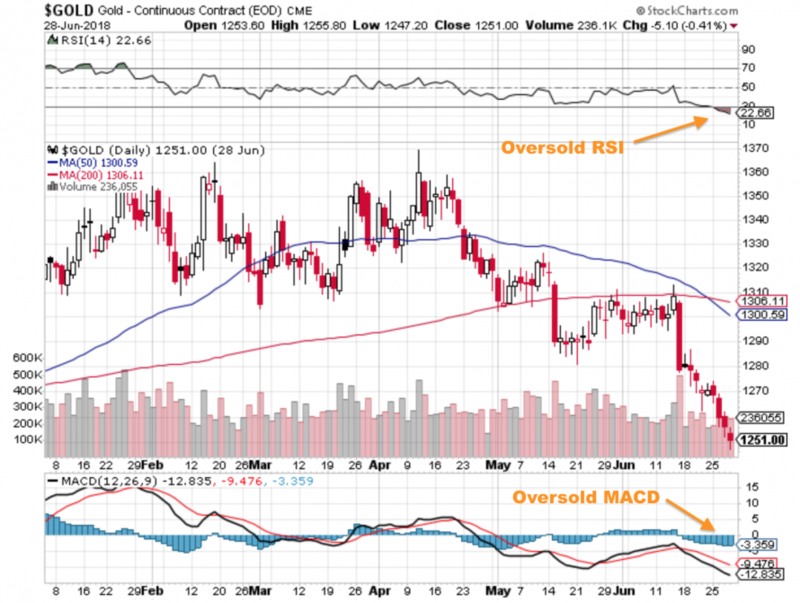 Both gold & silver are quite over-sold right now, technically-speaking. With technical and fundamental indicators flashing green simultaneously like this, now is an advantageous time to consider increasing your PM exposure (I did so myself yesterday). Before I go into further detail on the current conditions of the PM market, here's a recent personal experience that underscores how few people have any real familiarity with gold & silver as an asset class, let alone own any (beyond, perhaps, a bit of jewelry). A good friend moved and needed help transporting some bullion from his old town to his new one. Most of it was silver, several thousand ounces worth. That much silver is pretty friggin' heavy. So we huffed and strained, hauling that load out of one bank vault, into his car, and from there into the vault at his new bank. While we did our best to be as discrete as possible, our sweaty, grunting 2-man production was hard for the bank staff to ignore. Managers at both banks figured out what was going on, as it was pretty obvious. And both separately asked us out of genuine curiosity, "Is that real silver?". My friend briefly handed over a 100-oz bar so they could see for themselves, sparking conversations about the merits of owning physical bullion. It turns out that neither manager had ever held a bar of silver before. This was pretty shocking to me. Even though they know that the safe deposit boxes in their own vaults very likely store some bullion, neither own it personally, nor even come into contact with it. It's just not a part of their world. Anyways, later on I mentioned this story to another buddy who shared my surprise. "Man, if the bankers aren't familiar with silver and gold, then who the heck is? ", he asked. A very good question, I agreed. But then he jolted me by asking: "So, one of those 100oz bars -- what's it worth, anyways? $150?" This is an otherwise intelligent, math-competent person. But like most folks, as well as those bank managers, he doesn't own any precious metals and so his knowledge of them is pretty limited. Limited enough to underestimate the price of silver by over 90%. 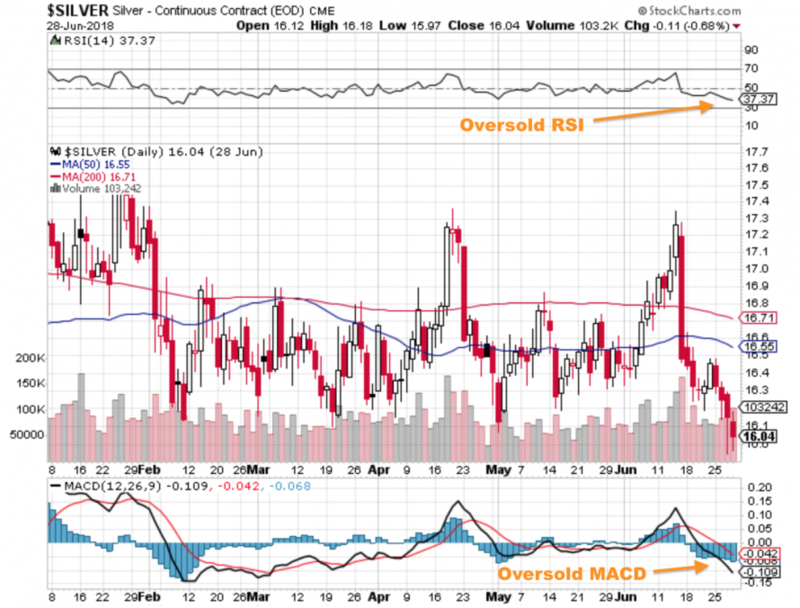 Simply put: gold and silver, in the West at least, are underappreciated assets. As Grant Williams famously put it in his excellent synopsis, when it comes to public and institutional sentiment of the precious metals, "Nobody cares." Which is a big factor why the prices of PMs have languished for the past seven years. And why the flow of bullion has been uni-directional from West to East over that period. But there are gathering signs that it's now time to start caring again. Looking at the just techinical side for a moment, both gold and silver have been in a prolonged downtrend for the past two months. They're now at extreme undersold levels. While a break below the Bollinger bands could indicate that something fundamental has suddenly changed in the PM market to merit a materially lower repricing, there just don't appear to be any credible candidates for that argument. Yes, the dollar has risen over this period; but there are solid reasons that the USD and gold/silver need not always trade inversely to one another. And as we'll get to in a moment, conditions are actually becoming more PM-favorable. Technically-speaking, it seems much more likely that the current downtrend is long-in-the-tooth and that, as prices dip down to 18-month lows, a recovery is soon due. In fact, we may be seeing the start of such today, the first material up day for the PMs in a while. Fundamentally-speaking, world events are providing more and more reasons to own gold and silver -- from stratospheric asset bubbles threatening to burst, to a long-overdue return of market volatility, accelerating de-dollarization, slowing global economic growth, increasing credit market risk in both Asia and Europe -- the list goes on and on. To the many reasons Stoerfele gives in support of his conclusion that gold is "dirt cheap" right now, we can add the multiplying macro data points predicting market turmoil and economic recession later this year, as well as the building uncertainty of further rate hikes by the Federal Reserve -- all potential developments that should lead to higher PM prices. Whether you're amassing bullion for the long term (which we've long recommended) or speculating in the paper markets for the short term (something we don't encourage for the average investor), you want to buy low and sell high. With precious metals trading near 18-month lows and close to the "all-in" production cost for many miners, prices are unlikely to get much lower than this. 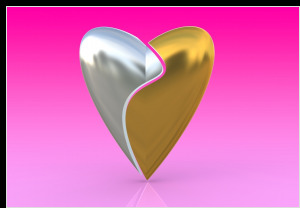 Creating your core physical precious metals position if you have none. Many PeakProsperity.com readers already have their core positions in place, should an abrupt crisis occur that suddently sends demand for 'safe haven' assets spiking. But if you haven't built yours yet, don't panic. But also don't delay too long in taking action. A good first step is reading our free guide Buying and Storing Gold & Silver, which details the various forms you can purchase bullion in. Setting up an ongoing purchase program. The easiest and most affordable way to build exposure on top of your core position to set up an automatic purchase program that buys a consistent amount of bullion each month at a volume that fits within your budget. The MetalStream service offered by the Hard Asset Alliance is a good example of such a program, through which you can set up automatic purchases of as little as $100 per month. Nibbling into the miners. The stock prices of precious metal mining companies are much more sensitive to the spot price of gold and silver than the actual metals themselves. They can yield fantastic returns during bull markets, as well as widow-making losses in bear ones. And widow-makers they have been for the past seven years. But, for the above-mentioned reasons, that long winter may be thawing. For investors with the constitution and resources to speculate, it's an opportune time to consider adding or increasing exposure to the miners. That said, when doing so, we *strongly* urge to you work with a profession financial advisor with longtime experience with this asset class *as well as* demonstrated expertise with using hedges to protect these high-risk positions to the downside. If you're having difficulty finding an advisor who meets these conditions, consider scheduling a consultation with the firm we endorse (it's completely free). Remember, right now, nobody still cares about the precious metals. Which is why it's estimated that only 1-3%of US households own any (jewelry aside). So even if you only hold a few ounces, that's still more than 97-99% of everyone else -- which may make a tremendous difference to your prospects when the world starts caring again.